Tell me about your childcare business? I am the proud owner & sole provider of Komfy Kidz Playhouse, a licensed family daycare home located in Atlanta, Georgia that began back in February 2007 when I was only 23yrs old. I hold a current CDA and my program recently became a Nationally Accredited Family Child Care program through NAFCC in May 2011. My program offers Full-Time Care M-F w/extended hours, Summer Camp from June-Aug, and 24/7 Drop-In Care for children 3mos-9yrs. I offer a non-traditional curriculum of lesson plans that are made up of different ideas and activities that I come across when networking with other childcare providers on different social networks, blogs, and websites. Our activities and lessons are always hands on and full of engaging fun. In my home, children may visit the following learning centers: Dramatic Play, Blocks & Building, Math & manipulative, Science & Discovery, Reading Corner, Art & Writing Station, School Age Big Kids Lounge, and Outdoor Large Motor Play. What inspired you to start a childcare business? Funny thing is, I have ALWAYS wanted to be a childcare provider as far back as elementary age! As early as 5th grade, I would walk around my neighborhood with neon colored, hand written flyers, stating I would babysit kids for only $5. I gained lots of parents at that rate! As a teen, I continued to babysit and care for children up until I had my first child. I went into the workforce to be able to provide for my son and my first daughter who I had three years later. After working at a fast food restaurant for 4yrs, I began work at my children’s daycare center in 2005 where I worked as the lead preschool teacher for a year. I loved working there and being able to have my own classroom. This is where the inspiration really began to start my own childcare business. I decided to venture into the world of Family Daycare and start my own inside our home where I could continue to do what I love, be home with my own kids, and run my program how I wanted it to be ran. I have always been creative and artsy so it was also a way to be able to express my creativity through the set up and arrangement of the daycare part of my home. What are your goals and dreams for your business? I would love to transition my program into a group daycare home so that I may care for more children and start a Private Home Preschool some day. I would offer care to toddlers and preschool age children only and they would be divided into two separate learning groups: Toddlers(18mos-2yrs) and Preschoolers (3-5yrs). I would like to teach this age group and be able to prepare them for kindergarten. I would love to have Preschool Graduations and Preschool Prom. This is where I can really let my creative and fun juices come to life. I would to obtain a degree in Early Childhood Education and I would like to ALWAYS be a family daycare home. 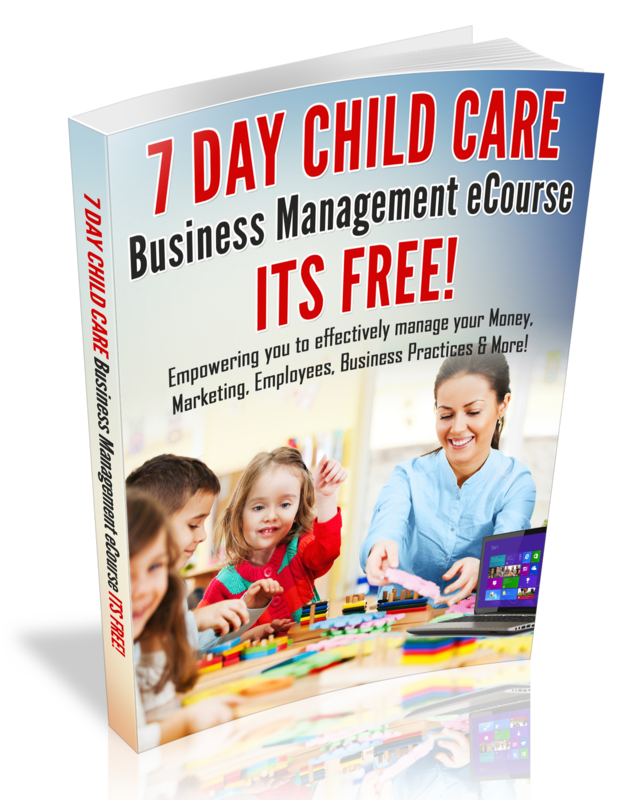 What do you think is the key to a successful childcare business? The key to success in this business from my experience is to NETWORK!!! Be open to change, advice, and suggestions. Be willing to share your knowledge with other child care providers. Know that everyday is a learning day. Whether you are just starting out or is a veteran in this business, there is always something to learn and something to share. I have learned from those who have only been open a couple of months to those who have been in the business for over 10 years. I have always been willing to share what I know. I don’t like keeping what I have learned in this business to myself. As child care providers we have to live by what we teach our children: “Sharing is Caring”. Advice for new Day care providers? Get to know other childcare providers. We can learn a lot from each other. But my main advice is to create a THOROUGH parent handbook for potential families. Go over EVERYTHING. And STICK to the rules you have made because they were obviously made for a reason. Child Care Hot Topic: Should There Be A Television In A Child Care Setting? Thanks Darlene. Great to hear that you are pursuing your CDA and furthering your education. Wishing you the best on your success with your business! for the last 15 yrs. I also workied as a infant/Toddler preschool teacher in a center base for 3 1/2 yrs. I loved the ideaa of running my own business and not working for someone else.. So i stuck to the home daycare for 20yrs so far. I am currently doing my CDA, will graduate in June. and I am taking an online associates in Early Childhood. Planning to become director qualified to open a larger daycare and expand to 20-25 children of all ages. Children are my life and I love watching them grow and learn and develop into great adults.